Anne Frank and the Annex – so many have read her story through her diary. Radio messages from the Dutch officials exiled in London during World War II reminded those who remained in the Netherlands that their diaries and memoirs would be testaments to the Nazis’ atrocities. Anne knew this as she wrote, always striving to be “a writer” and telling the tales of hope and deprivation and worry that circled and recircled in the Annex. So hearing Peter’s voice brings more to the story, like looking at a familiar statue from another angle gives us a different perspective. Not everyone has been pleased with this alternate view of the Annex, but Dogar’s comments on the controversy reveal that she wrote Annexed because she and her daughter wondered what happened after the Diary ended, not to rewrite Anne’s history. A gripping story well worth reading (with hankie in hand). Recommendation: Peter walks slowly, savoring the sun and wind before he enters the Annex. Who knows how long the Franks and his family will stay there, Jews escaping the Nazis in Holland by going into hiding? Yes, those Franks. This is Peter’s side of the struggle for survival chronicled in The Diary of Anne Frank, as the young man gives up his first romance, his training, his future, just trying to stay alive day by day. Oh, the story was whispered in Amsterdam that both families had fled, far from the ominous army trucks which loaded up in Jewish neighborhoods and returned to the city – empty. Peter longs for his woodworking tools, not the books that Anne and Margot seem to live in. How appropriate that a bookcase covers the hidden door into the Annex! How difficult it must have been for others to bring food to those in the Annex when there was little to find. As time passes, books become more appealing to Peter… as does Anne, who is no longer the child who entered the Annex. Anne – who writes to tell the truth, who writes as a testimony against the cruelty of the Nazis. We know that this saga does not end well. Peter’s tale continues on the horrific train journey out of the city, to the brutalities of the prison camp called Auschwitz. 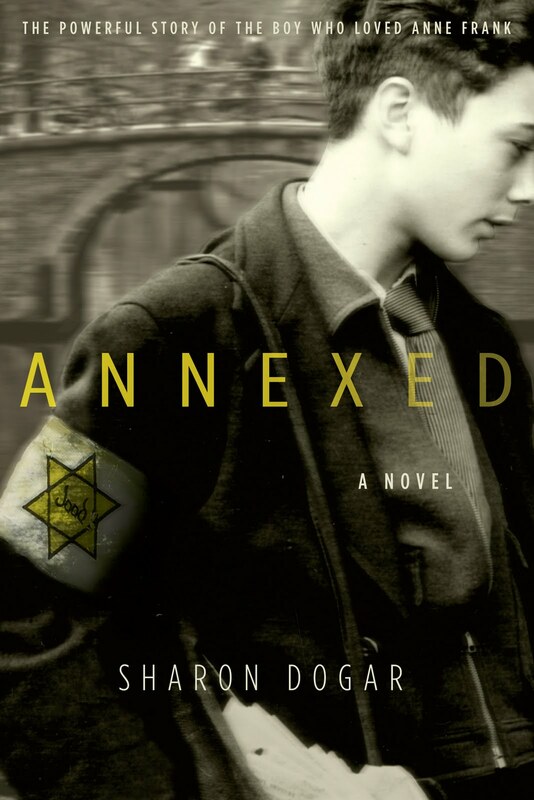 Annexed is a powerful story for mature readers, no less real because it uses the voice of fiction. (One of 5,000 books recommended on www.abookandahug.com) Review copy courtesy of the publisher. I haven’t seen this one at my local library yet but I am reading a YA book right now called The Berlin Boxing Club by Robert Sharenow. That book takes place in Nazi Germany and is told by the point of view of a teenaged boy trying to survive with his parents and his younger sister. I would also highly recommend that book for mature readers.